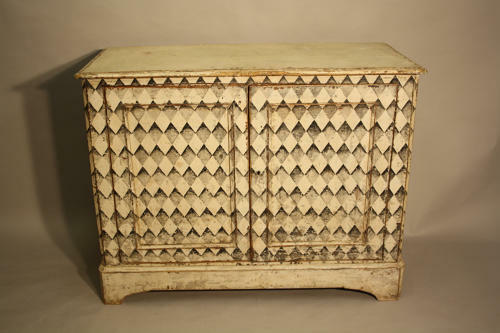 A stunning beautifully painted cupboard with harlequin detail. C19th with later C20th painting. Very fine and accomplished harlequin paint effect with detail shading of black ino grey into off white. Wonderful design - an exquisite and unique piece.